Thanks a lot . I’ve forwarded your telephone number to June who was delighted when I told her about being in contact with the Poulton family ! Sorry about the late response but I hadn’t visited this site for a long time ! Kenny, didn’t the Poulton family live on St John’s Wood Terrace ? We lived at number 72, my mum June nee Vincent and my dad Pat Campbell. June, Sammy and Primrose,( shortened to Prim) were Sam and Milbro ( Minny ) Vincent’s kids. Only my uncle Sammy still lives in the Wood. Does anyone have any memories or info about Charlbert Court where the Vincents went after being bombed out ? My grandfather Sam Vincent went to Barrow Hill school around 1919, then his children my mum, aunt and uncle Sammy went.My dad and his sisters Kathleen and Tessy also attended the same school. I was the last in the family to go there in the mid 1960s.I guess a lot of us “old locals”got priced out of the Wood, sad because there were deep roots there. Valerie, my mum June told me about the day Aquila Street was hit by a bomb during the blitz and she and the family were buried alive. Luckily they were all dug out along with the family cat. 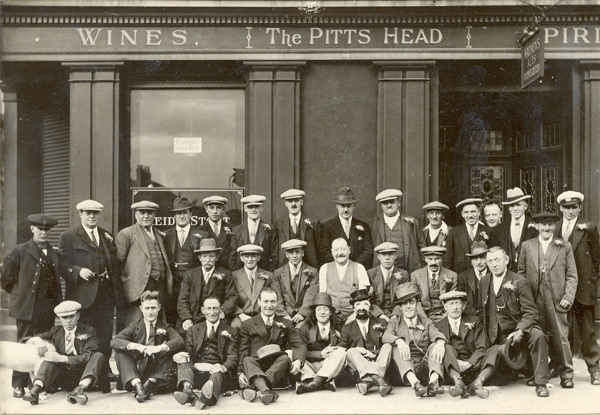 The front row of the Pitts Head photo incorrectly shows my Grandfather as George Harding his name was George Norman Harnden from Townsend cottages. I have a wedding photo to verify his likeness. I knew the vincents so well.June, Sammy and I think Claire. June was my sister’s best friend, I knew them when they lived in Charlbert Court. Lori, your comment of 2011 is so inspiring. You mention 2 of my familys’ names in your visit. I can add another to Aquila Street. This is fantastic, I wonder if its possible for me to obtain a copy of the above photo’s? As they contain the only photo I’ll have of my Great Grandfather and his family. 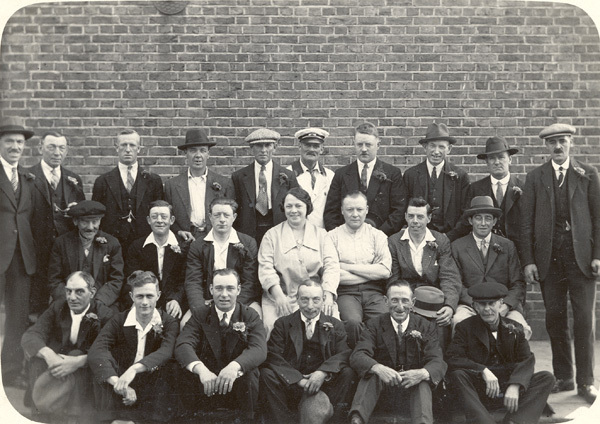 It is great to see photos of the Rumble family, an old local name in St John’s Wood, along with the Jordans (who ran the greengrocers) the Halls , the Bakers, and my Granddad the Vincents, and Harpers. 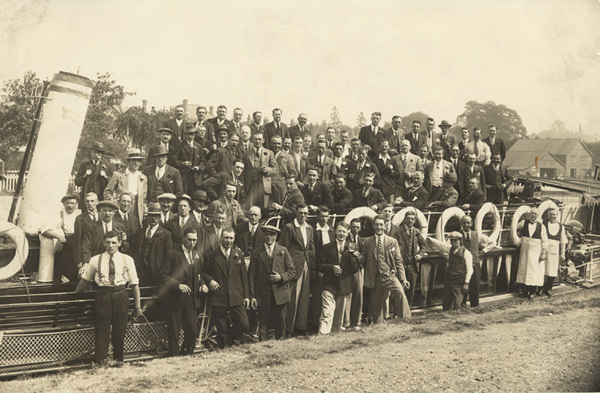 Are there any photos out there of them circa 1911 to 1950 ? He and his family lived in Aquila Street (bombed in the war), and Charlbert Court, Charlbert Street.